I know there are several of you cool #Oklaed folks who run. I also know that there are a few of you who just need a nudge to get started. Consider this your nudge – it is entirely possible to go from couch potato to marathon ready in 30 weeks. I think this may be enough time, if you start this week. Zombies, Run! even has a marathon training mission you can follow. The point is to have that end goal and a plan to meet it. Running the OKC marathon is on my bucket list. Something that I have wanted to do for a long time. I feel like next April is my time to cross off a super cool item. I know several of you have participated – I would love do this with you. Are you interested in this? Would this be something to motivate you – knowing you would be running with colleagues? 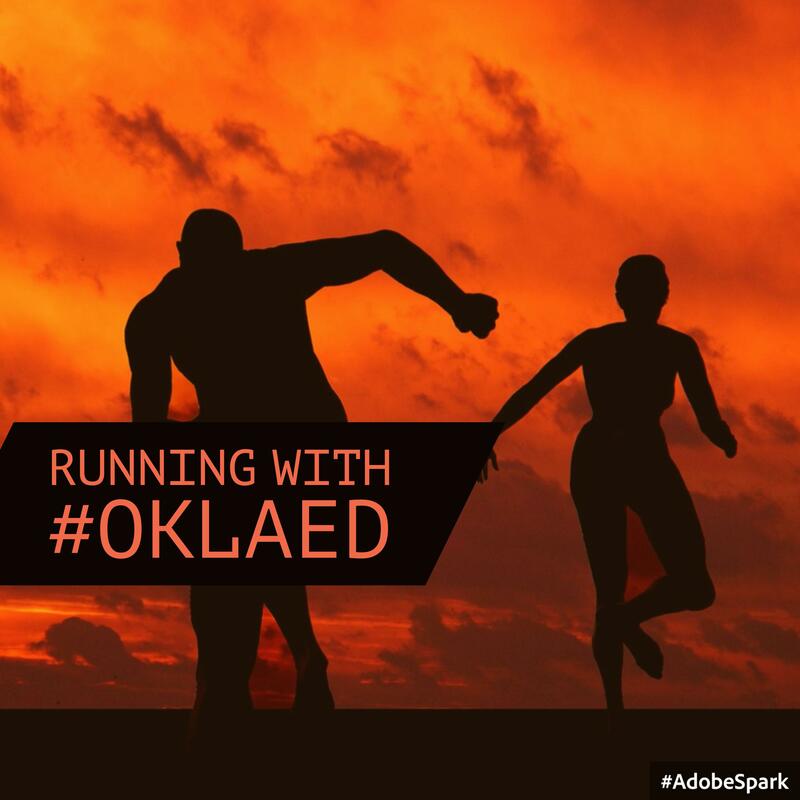 5 Responses to "Running with #oklaed"
I love this idea! I have rheumatoid arthritis that has mysteriously gone into remission. Realistically, I would not be able to do a marathon or a half, but there is the 5k. Maybe we could get a group for each level. I’ll do it!! Hello, OKC Marathon!! #Oklaed-unite!!! Kas Nelson and I ran the half together this year! We agreed to do it again next year. And I bet she would be willing to be part of this too!!! Love it! I’m in! Running my first full in November. Did the half last year at OKC!